The RAM 2500 Series for use on Rubber Tire Gantry Cranes or Rail Mounted Gantry Cranes is designed in accordance with DIN 15018. 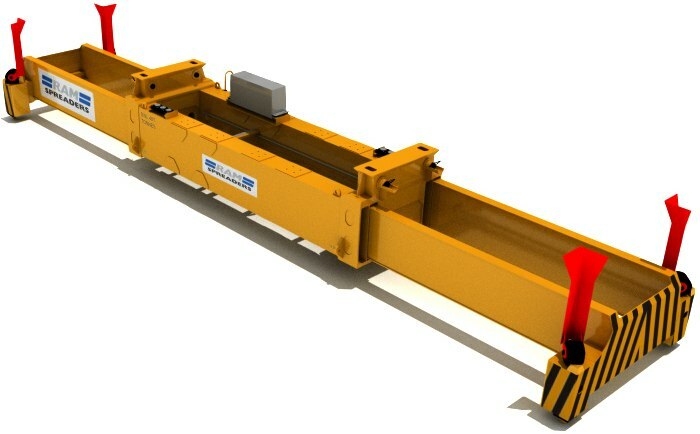 Manufactured from high quality steel and components, the spreader provides robust and reliable operations in demanding container terminal environments. The spreader is capable of handling 20ft/40ft/45ft single containers. Fixed gather guides are fitted to each corner to aid alignment to the container.